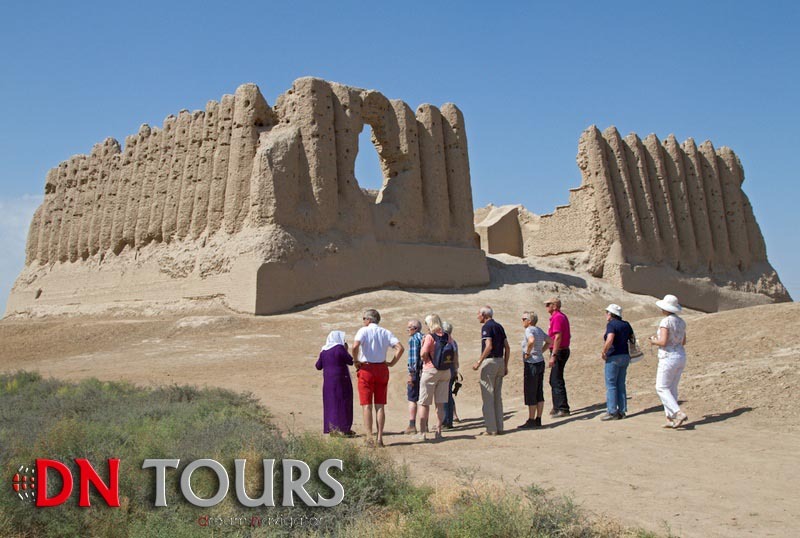 Excursion to the white marble capital of Turkmenistan, a trip to the coast of the Caspian Sea, a visit to the ruined castle of Izmukshir and an excursion around the city of Dashoguz. A trip to the ancient cities of Kunya-Urgench and Merv. 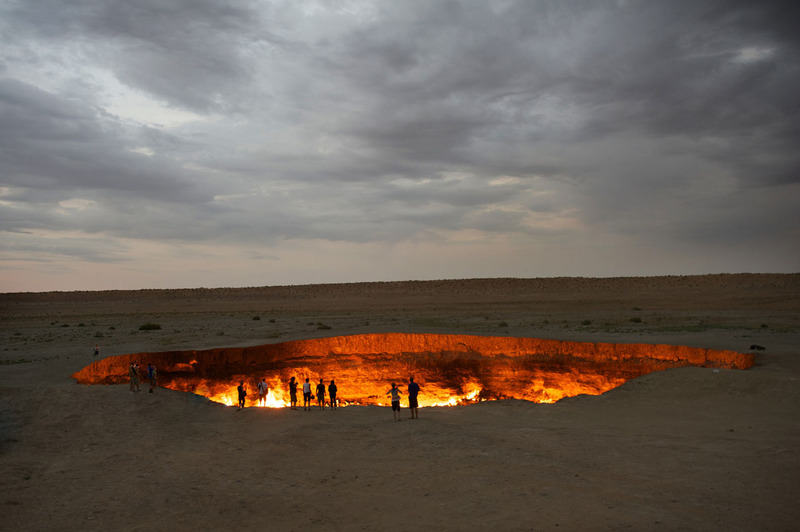 And of course the trip to the gas crater known as “Gates of Hell” or “Door to hell” in Darvaza. Tour duration: 10 days – 9 nights. Arrival to Ashgabat – capital of Turkmenistan. Accomodation to hotel. 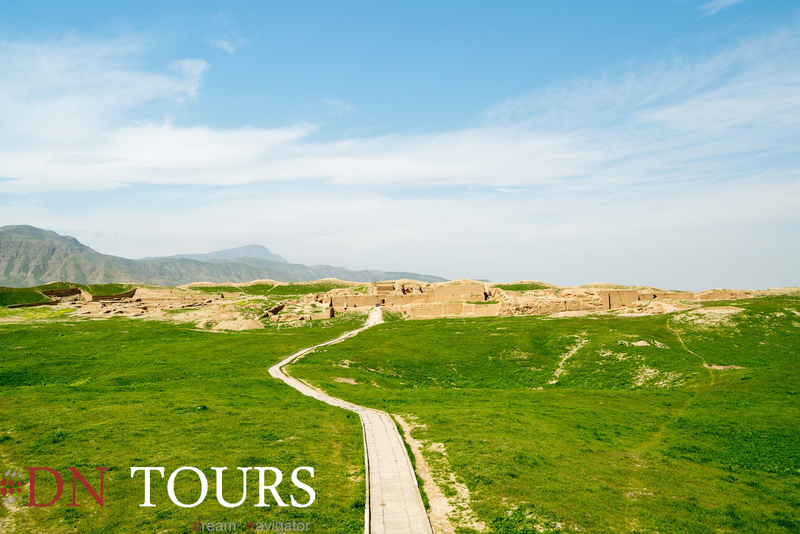 A fascinating journey through Turkmenistan will begin with a visit to the ruins of the ancient city of Nisa, located in the foothills of the Kopetdag Mountains, a several kilometers from Ashgabat. 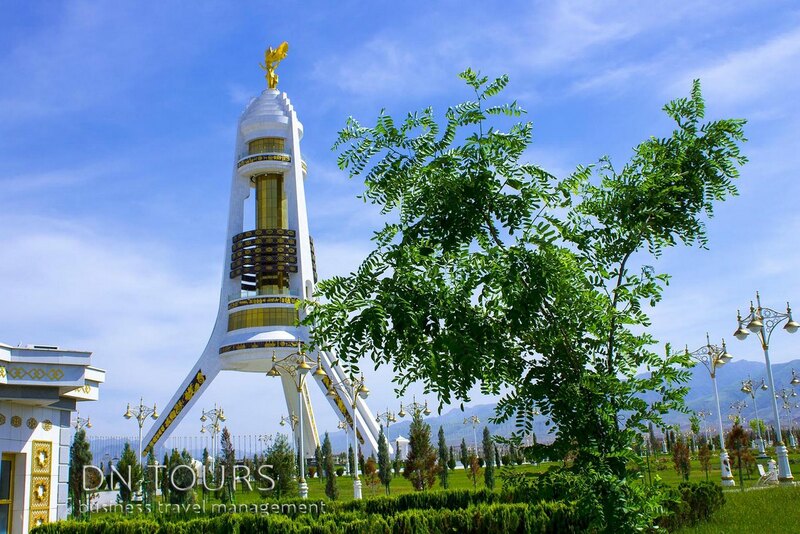 After getting to know Nisa, you will visit the National Museum of Turkmenistan, located in the foothills of the Kopetdag Mountains, on the outskirts of Ashgabat. The National Museum of Turkmenistan, opened in 1998, covers 105,000 m² and contains more than 150,000 exhibits and rare finds of archaeologists. The museum consists of three “wings”, each of which will tell a separate stage of the history of Turkmenistan and its territory. 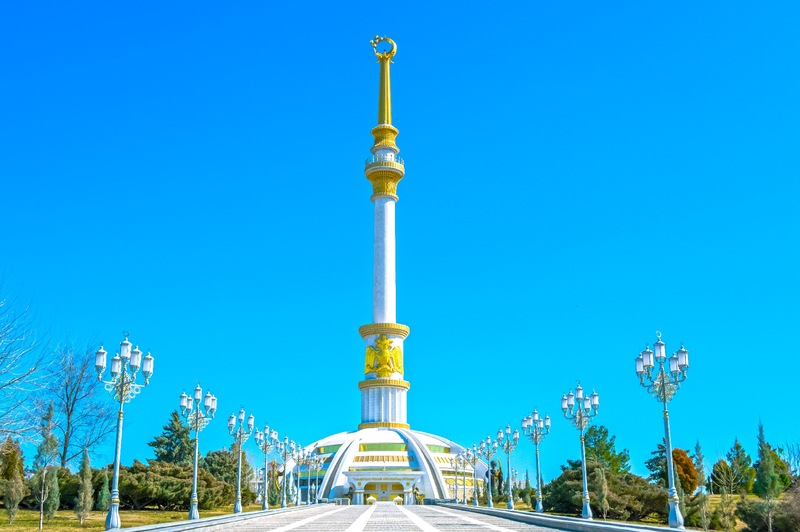 Further, our guests will be able to appreciate the two main symbols of Ashgabat and the whole of Turkmenistan – the monuments of Independence and Neutrality. The buildings striving for the sky symbolize Turkmenistan in the 21st century – progress, innovation, spirituality. 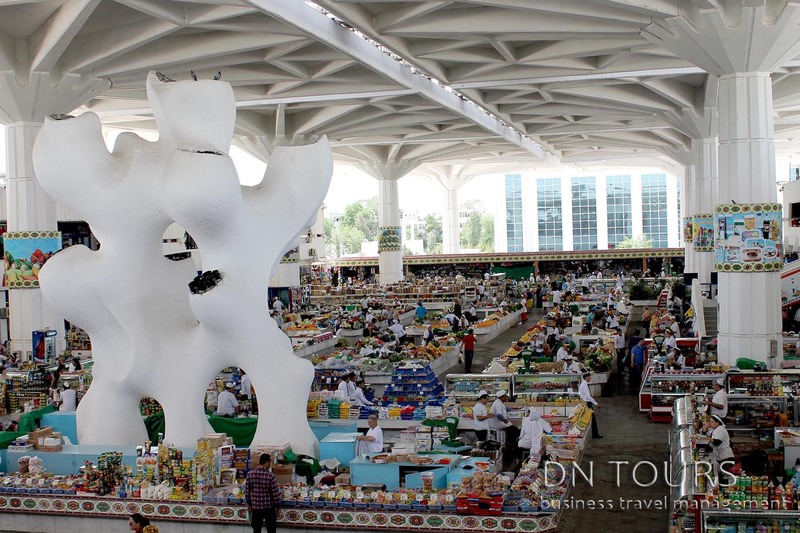 In the afternoon, you can visit and take a walk through one of the Ashgabat bazaars. Aflight from Ashgabat to the city of Turkmenbashi (old name Krasnovodsk), and a trip to the resort zone of Avaza on the coast of the Caspian Sea. Here you will be accomodated to one of the hotels, after that you will have a great opportunity to stroll along Avaza, get acquainted with the sights and relax on the beach. 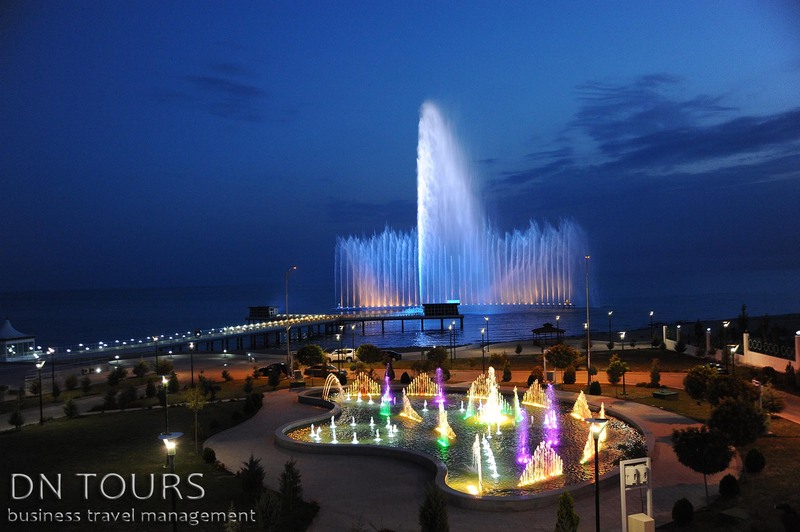 During the day, you can visit the local fish market, where you can find a large number of gifts from the Caspian sea, take a boat trip or visit a local museum of history. After lunch, flight from Turkmenbashi to the Dashoguz city. 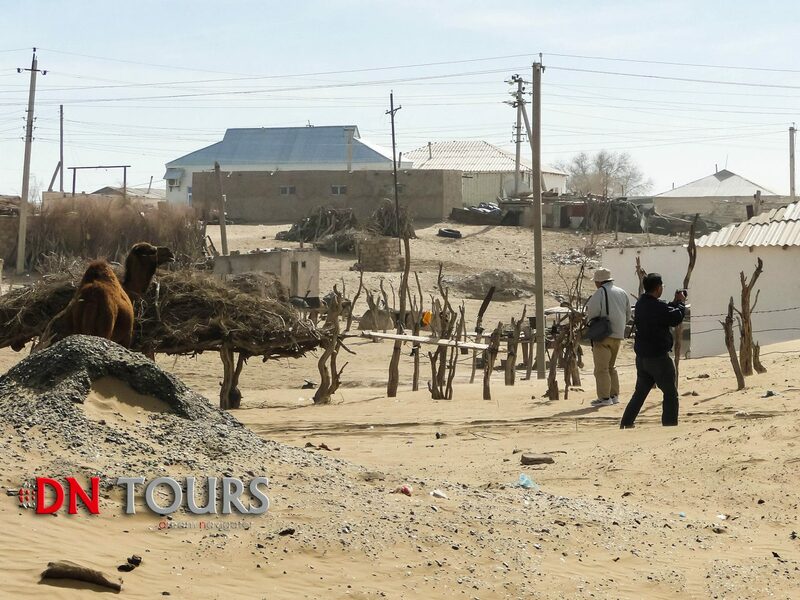 After check-in at the hotel – a city tour and a trip to the ancient city of Izmukshir. Izmukshir, also known as Zamakshar, buried under the sand, the ancient fortress holds many secrets. 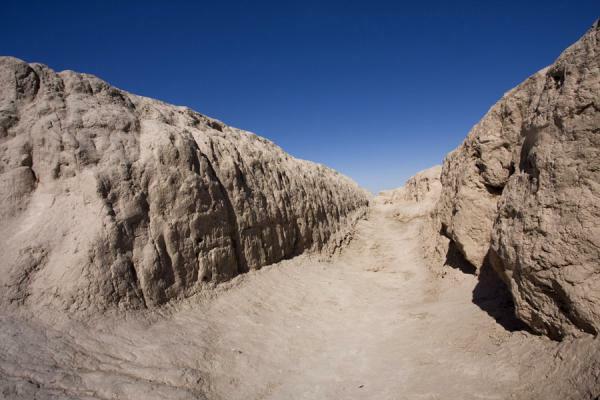 The length of the wall that has survived to our time is about 1500 meters, along it stretches a crescent-shaped moat, the depth of which in some places reaches 16 meters. Emerged in the 3rd century BC, Izmukhshir blossomed to the 9th-12th century. Time and sand did not spare the fortress of Izmukshir. Today, most of it is buried under the sand, but for those few buildings one can imagine the scope and monumentality of its former grandeur. 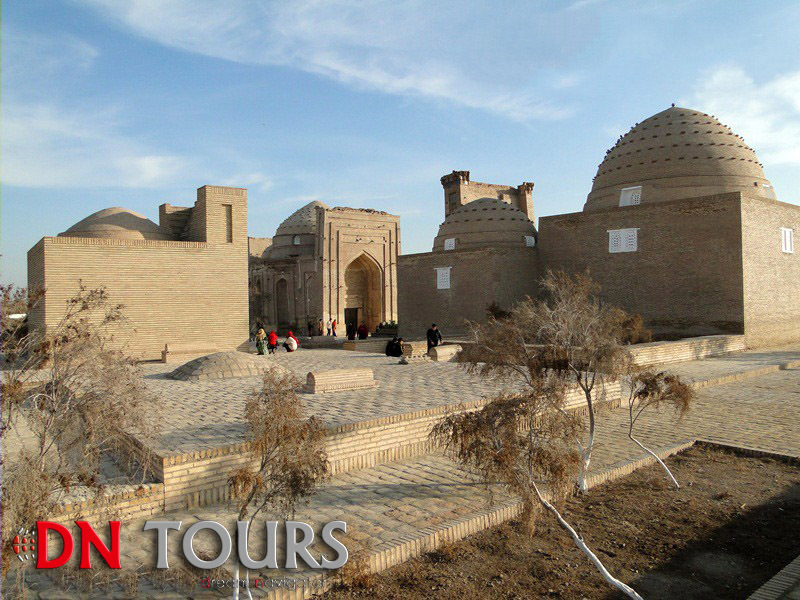 The fortress with more than two thousand years of history has replaced many rulers and entire dynasties, from the Ghaznavids and Seljuks to the Karakhanids and Khorezmshahs. 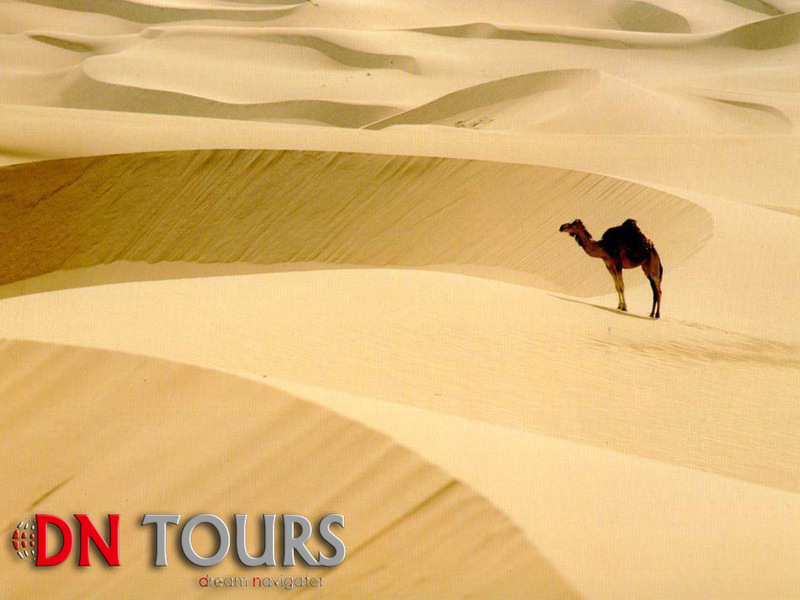 That day will become one of the most intense and emotional during your visit to Turkmenistan. 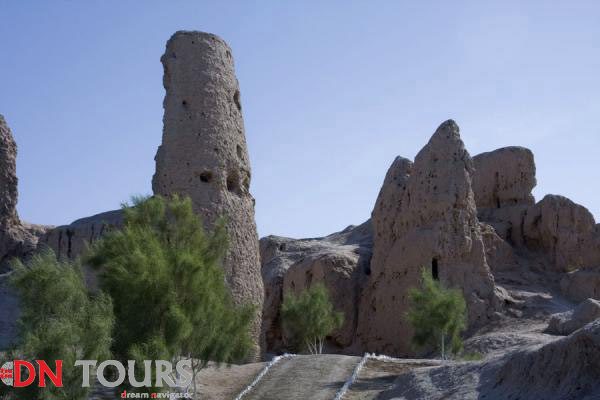 First of all you can visit the ancient city of Kunya Urgench. 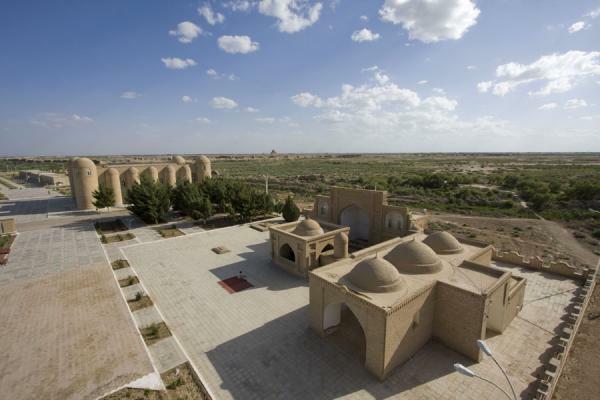 The ancient capital of Khorezm, which arose in the 1st century AD. Here lived and worked great scientists and writers of antiquity. The encyclopaedist al-Buruni well-known as Abu Ali ibn Sina, familiar to everyone as Avicenna lived and worked in Kunya Urgench. The city was repeatedly attacked, so in the 13th century it was captured by the Tatar-Mongol yoke, first by Genghis Khan, and later by Tamerlane himself. For these and many other reasons, the monuments and constructions of the city have reached us in a damaged state. But they also cause admiration. 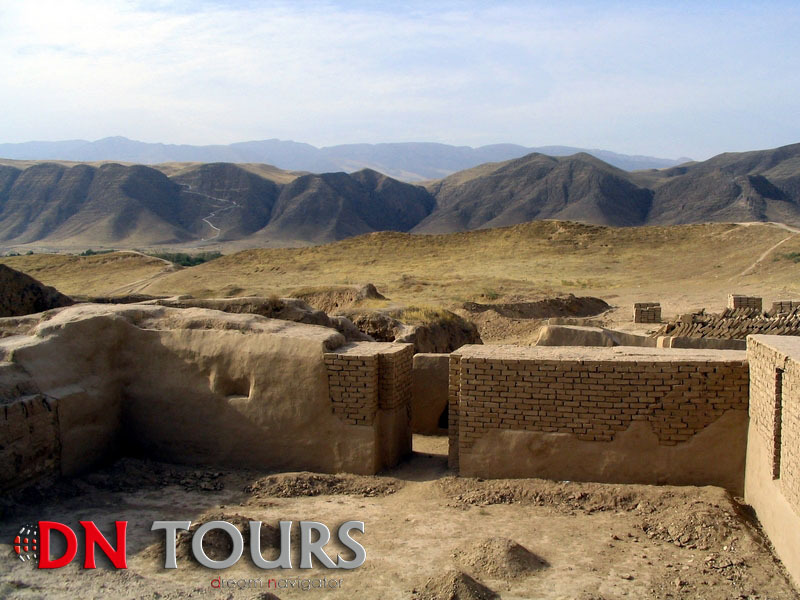 Well, after a walk into the history of the ancient Kunya Uregnch, you will go to the “Gates of Hell” in Darvaza. 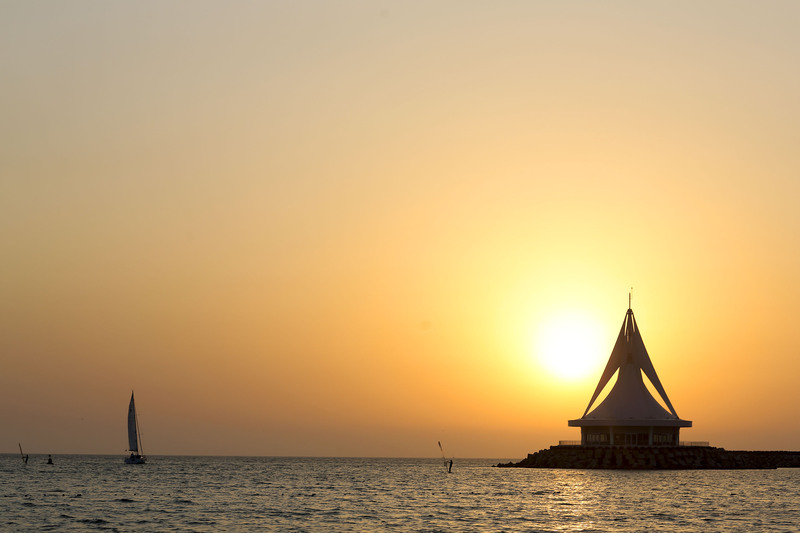 You will have an unforgettable trip and the most positive emotions. Here you will spend a wonderful night just near the gas crater full of fire. The gas crater in the center of the desert has been blazing for over 40 years and illuminates the night sky with a fiery glow. In 1971, geologists discovered a large gas cluster here. During the prey they came upon a cavern – a void under the sand. The derrick, transport and equipment quickly disappeared under the sand. Scientists decided to set fire to the site of the collapse, in order to avoid the dangerous release of natural gas. According to the calculations of geologists, the flame had to be extinguished after a few days. Since then, more than 40 years have passed. 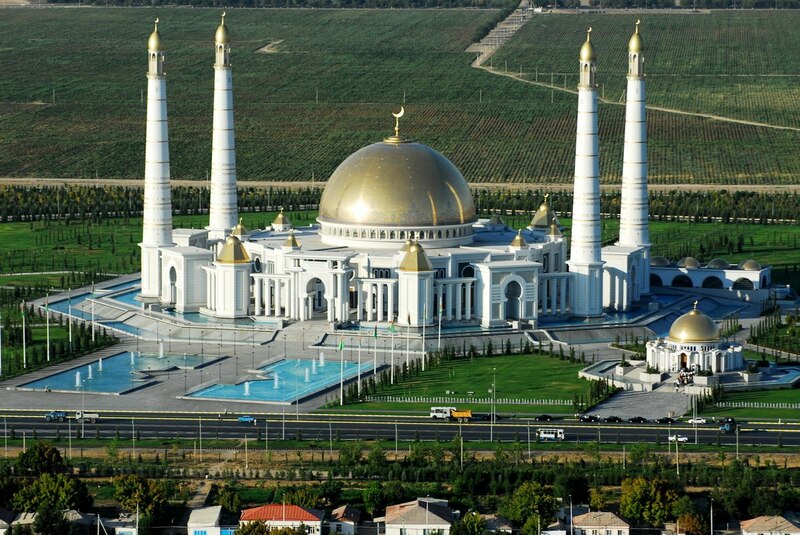 After breakfast you will go to Ashgabat, but on the way a short stop in the village of Kekirdek. 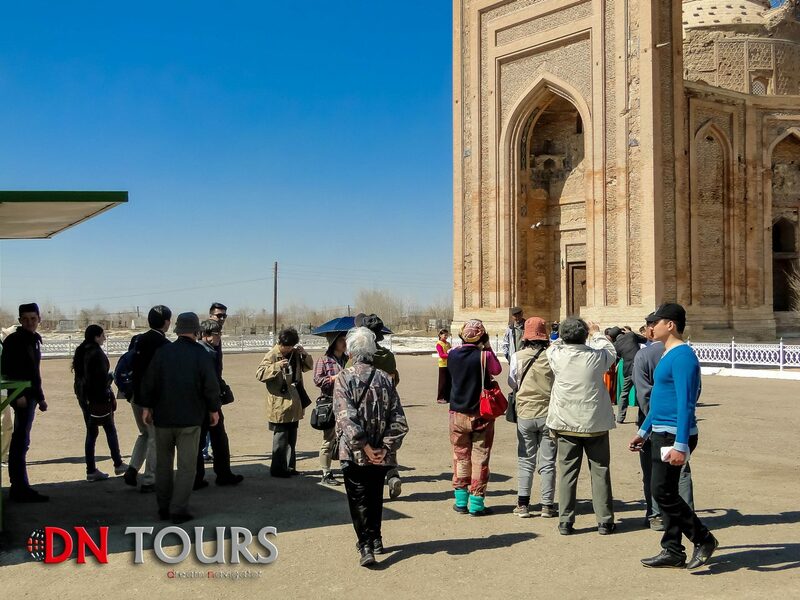 Here you will have a wonderful opportunity to learn more about the life of Turkmen nomads, stroll around the village and chat with the inhabitants. Well, after that, 110 kilometers of sands through the Karakum desert to Ashgabat. 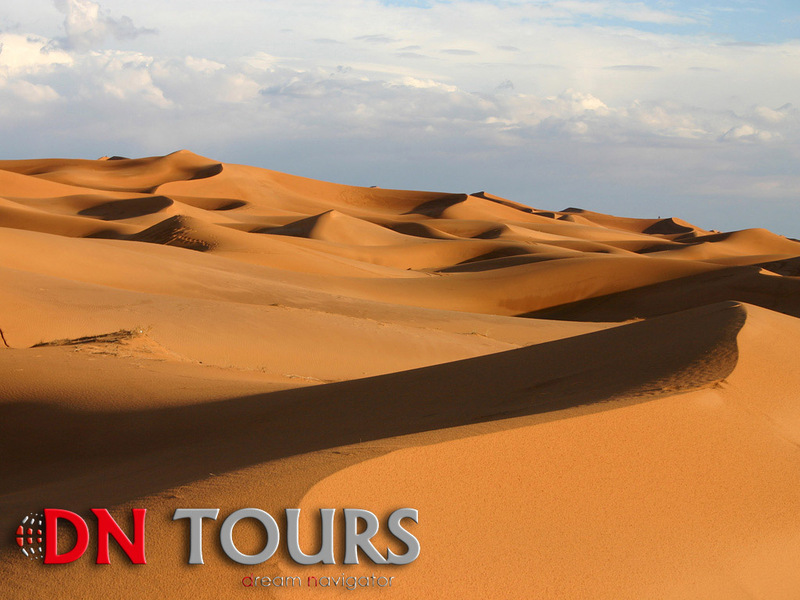 The desert will accompany you to the very approaches to the capital, beautiful landscapes are guaranteed. Well, on arrival you can relax in the hotel. Walk along Ashgabat. 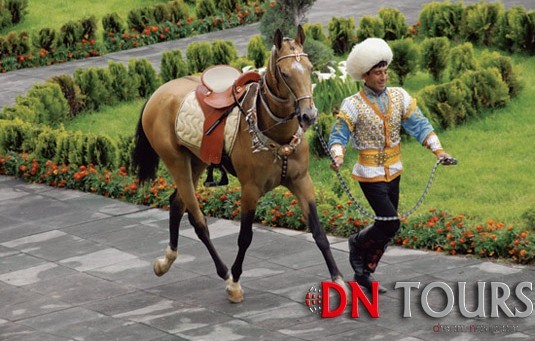 After breakfast, you can visit a stables located in Gok Depe, near Ashgabat. 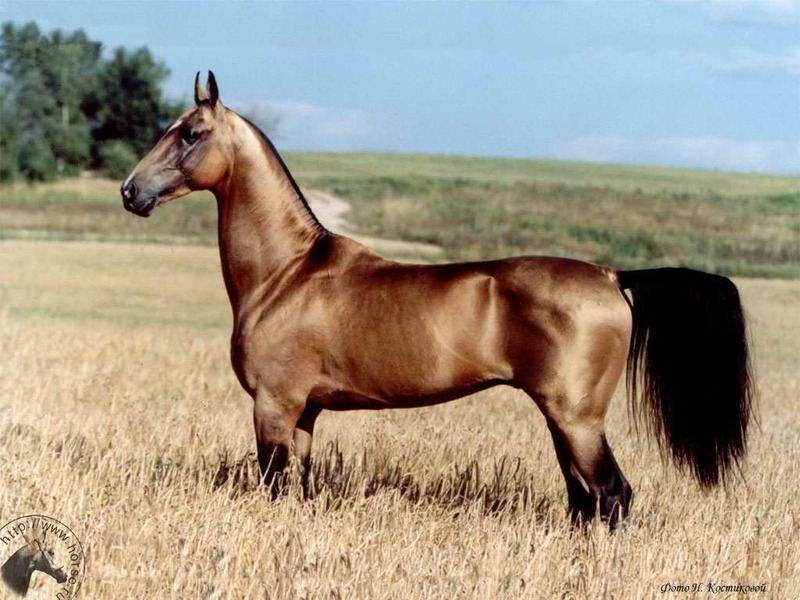 Here you will get acquainted with the pride of the Turkmen people – Akhal-Teke horses. 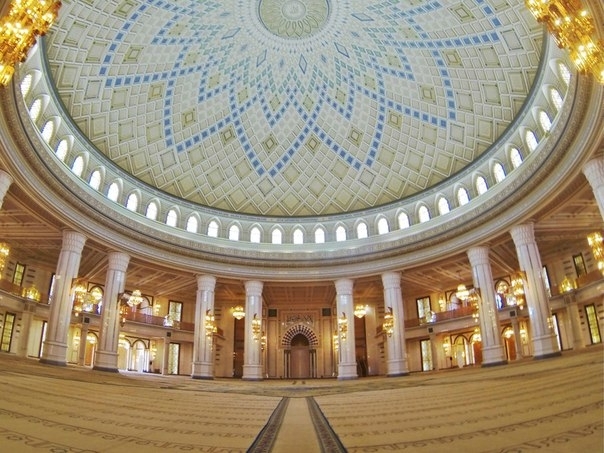 Then you will visit the mosque and mausoleum, named after the first president of Turkmenistan. His body rests here. In the afternoon you will be able to visit the “Gulistan” bazaar in the center of Ashgabat, popularly called “Russian”. 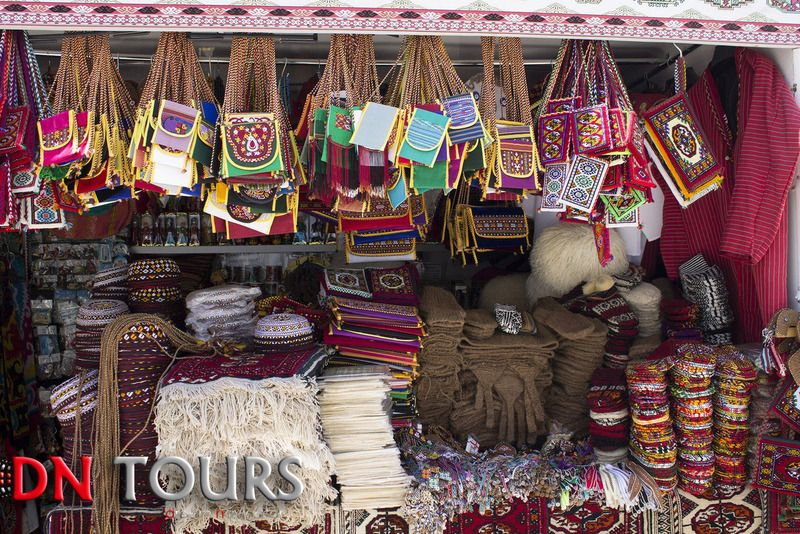 Here you can find everything from small souvenirs to carpets and paintings. Next morning a flight from Ashgabat to the city of Mary, which will take about 50 minutes. 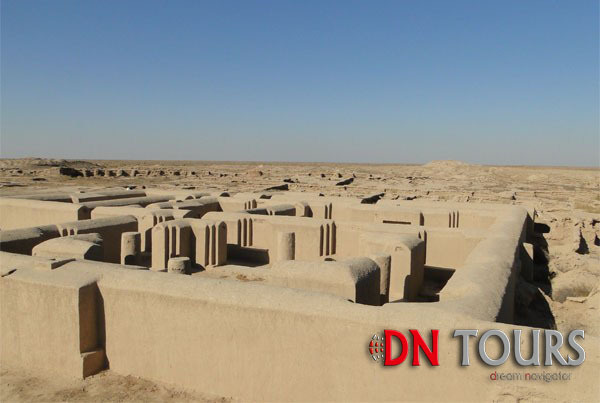 After check-in at the hotel, a trip to the ancient city of Merv, one of the oldest ruined cities in Central Asia. 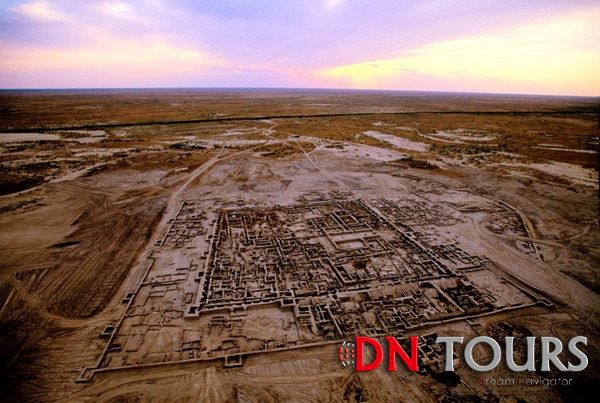 The history of Merv totals millennia and it is surprising that at least some structures of the ancient city reached us. The great scientists of Asia lived and worked here in ancient times, and the city itself was the capital of many dynasties and states. Continuation of study and travel on the antiquities of the Mary welayat (state). You will visit Margush. A flight back to Ashgabat in the evening. 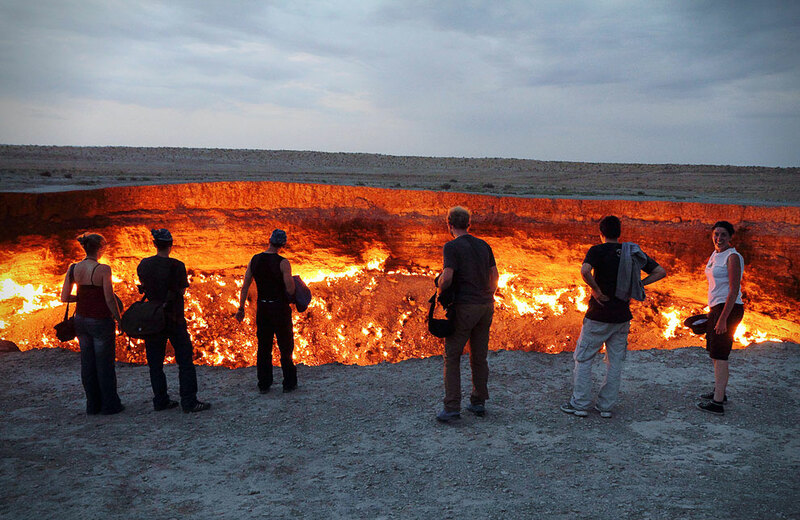 This is the end of your journey through Turkmenistan. 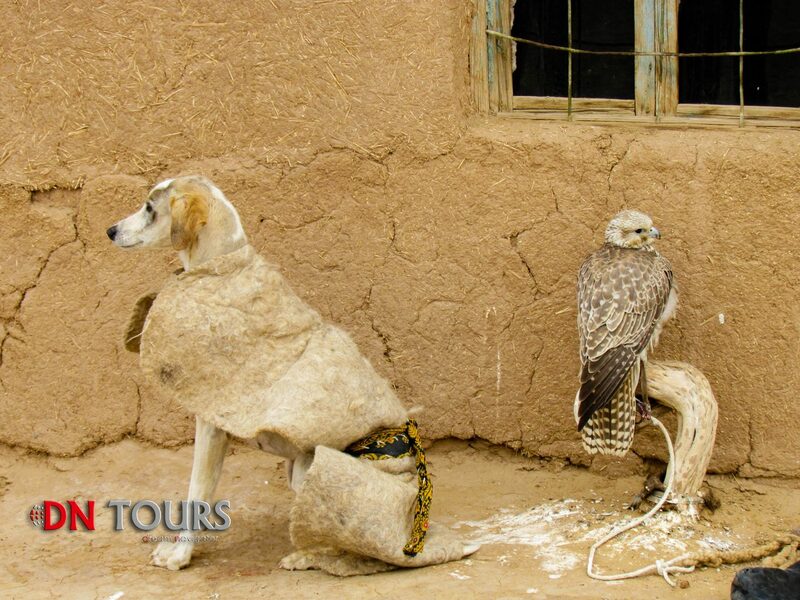 do you have as well group tours?